Fourteen years ago, the up and coming director Bryan Singer tackled a genre that had yet to be defined when he directed X-men. He grounded this band of unusual suspects with a down to earth sci-fi feel and an exceptional cast including heavyweights Patrick Stewart as Professor Charles Xavier, Ian McKellen as Magneto, Hugh Jackman as Wolverine, and Halle Berry as Storm. The franchise has evolved and gone in a number of directions(both great and terrifying) since the original film with Singer leaving behind the directors chair after X2. Now that he’s had some time away,the prodigal director has finally returned to the series that made him a household name. Does Singer’s return with Days of Future Past make for a compelling addition to the longest running comic book film franchise or has this director lost the finesse brought to the table in the first place? Days of Future Past begins in a dark future where mindless mutant exterminating robots called sentinels rule the lands as mutants and sympathizers are marched off to Holocaust style concentration camps. In a desperate attempt to save what’s left of the world, Professor X(Patrick Stewart) and Magneto(Ian McKellan) devise a plan to go back in time using Kitty Pryde’s(Ellen Page) power. Thanks to his healing ability, Wolverine(Hugh Jackman) is the only mutant whose conscious can survive the long journey back to 1973. After he arrives, Wolverine must find the young Charles(James McAvoy) and Erik(Michael Fassbender) and bring them together to stop Raven/Mystique(Jennifer Lawrence) before she assassinates the sentinel creator Bolivar Trask(Peter Dinklage) and sets the dark future into motion. Days of Future Past is one of the most ambitious superhero movies to date with its obscenely large cast, use of time-travel, and attempt to continue the story of First Class while also paying tribute and wrapping up many of the character arcs from the original trilogy. It’s a movie that has an unfathomable number of moving parts between balancing its characters and following its own time travel logic. The long of the short of it is that this film works exceptionally well thanks to a smart script and James McAvoy’s fascinating turn as a Professor X who goes from Howard Hughes to MLK. Instead of getting bogged down in how the time travel works, the movie decides to pull a Terminator and focus on our core characters and their emotional journeys. Michael Fassbender continues to be exceptional as the bullheaded mutant activist and Jennifer Lawrence tears it up as she quickly becomes the queen in fate’s game of chess, but ultimately it’s James McAvoy who takes center stage as the story’s most important player. First Class was Erik’s movie through and through and he still has moments of greatness in this film, but Charles is the character at the heart of the film whose decisions define the future. Hugh Jackman continues to prove that he can play his role immaculately in his sleep as Wolverine fills out the story as the massively bone clawed messenger who is really more along for the ride. Despite a huge cast of characters played by a number of legendary and weathered actors, it’s actually up and coming Evan Peters playing Quicksilver who really steals the show in his brief but unforgettable scenes. 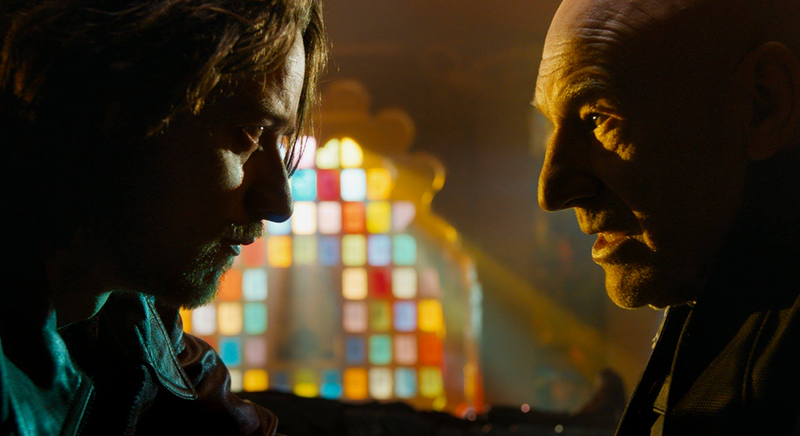 The X-films have had their share of mistakes over the years but Days of Future Past is able to grab the strongest elements from nearly all of the movies to deliver some really powerful moments. Fans who felt robbed of the proper resolution for all of these characters in The Last Stand should take comfort in the fact that this film finds some clever and surprisingly warming ways to pay off many of the character arcs that never felt quite resolved properly. Like all of the X-films, Days of Future Past has more in common with a Star Trek style sci-fi than it does its Marvel Studios counterparts. This movie gets big, loud, and ridiculous like any blockbuster should, but underneath all of the testosterone packed action lies bigger questions about human nature, the power of choice and freedom, and the ambiguity of good and evil. At any given point in the movie Trask, Erik, Raven, and even Xavier could be considered the “good guy” or “bad guy” which hits on some of the movies more interesting questions. The sentinels are less the villain and more the product of mankind’s willingness to sacrifice freedom and acceptance for security and violence. This may all seem a bit too philosophical for a summer blockbuster, but these ideas and questions presented are exactly why I believe this film(and the franchise) rises above its usually mindless competition. Everything from John Ottman’s score to the visual aesthetics of the movie harken loudly to the first two entries of the franchise that Bryan Singer directed and I’ve got to say this guy’s touch has been sorely missed. He may have produced First Class, but Days of Future Past is his true return and boy does he deliver! Singer has always been known as a director of ensembles but this film stretches that statement even further and I’m glad to say he succeeds with flying colors. His apocalyptic visual interpretation of the future was nothing short of striking, but I still found his 1970s period look to be a little bland. By the time the film has ended, we’re all reminded that while he respects and draws creatively from the other movies, this is his franchise. Overall X-Men Days of Future Past is an amazing piece of fan service for people who have tuned in and loved this franchise and its characters even through their darkest days. It successfully gives us the next fantastic chapter in the lives of our younger cast while bringing proper closure to the X-stories of old. After suffering through a couple of terrible flicks and an uncertain future, I think we can finally mark the X-men as redeemed. Luckily for everyone else watching, this just happens to be an insanely ideological roller coaster full of heart, eye candy, giant effing robots and veins popping out of Hugh Jackman. It may not have the meta-humor of The Avengers, but it does one better by having more meat and meaning to chew on when the film is done. In a summer that has been pretty ho-hum up to this point, I think Days of Future Past delivers the first true must see film of the season. It’s a more cerebral sci-fi superhero story that has an insane number of moving parts that never really falter. The gears show every now in then when great characters(Quicksilver) only show up to fulfill the plot. It’s got a million things going on at all times, but never loses focus of what it’s setting out to do and has a fun time doing it. It successfully ties the seven entry franchise together and lays the groundwork for a more bright and focused future. The core cast of characters of Wolverine, Charles, Erik, and Raven are all served exceptionally well. While it is a bit disappointing that any number of our favorite characters didn’t get more screen time, I was still glad to see so many familiar faces pop in and out. McAvoy leads the pack as he finally becomes the Professor he was meant to be. Let’s not forget to mention Quicksilver…. 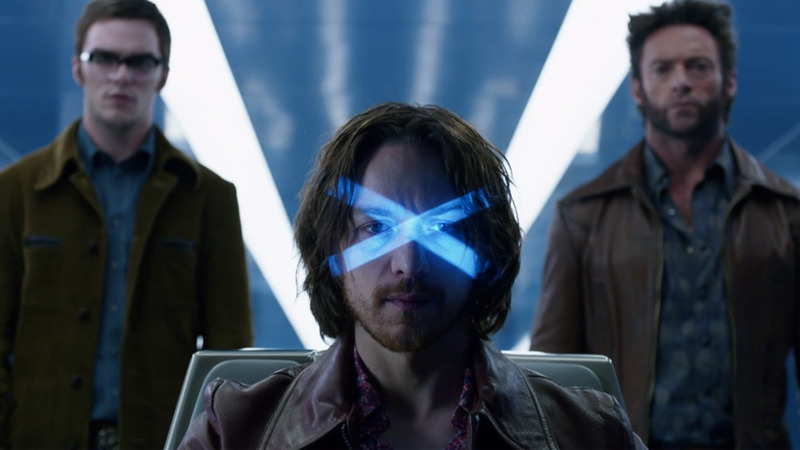 Bryan Singer has had a number of good films over the years, but X-Men Days of Future Past feels like a true homecoming as he delivers what feels like the first real sequel the first two films have had. He balances an obscene number of characters and stories successfully and returns to show that he still knows how to make the action. This film successfully makes an Avengers-esque team-up movie that mines the finest characters and stories from the franchise so far while also giving us a more philosophical and layered superhero movie. I’d be remiss to mention that Logan’s final moments of the film pack some emotional punch that has been 14 years in the making. It’s smart, tons of fun, and an absolute feast for fans of the series. It’s the first true must see movie of the season.